If you blink you might just miss all the changes that are going on on social media these days. From Instagram to Facebook to Pinterest there are a ton of new features that are being rolled out that can drastically impact the way you build your business and blog. Well, one of those big changes is from Pinterest. So if you’ve taken my course Pin It Perfect or read any one of my blog posts on how to leverage Pinterest to grow your blog traffic and email list, then you know that an integral part of the success I’ve been able to achieve can be attributed to one tool…BoardBooster. It was by far my favorite tool, allowing me to drive tons of traffic and sales to my blog on autopilot. Well, Pinterest has officially announced that BoardBooster is not a favorable Pinterest scheduler to use because it is not an approved partner and using it is not compliant with their terms of service. I’ve recommended BoardBooster for almost two years now as a powerful and profitable Pinterest scheduler and looping tool. I love the platform, but unfortunately, I can’t recommend or use a tool that Pinterest has openly disapproved of…plus BoardBooster recently let all of its’ users know that they are shutting down – so even if you wanted to use them, it’s a no go! 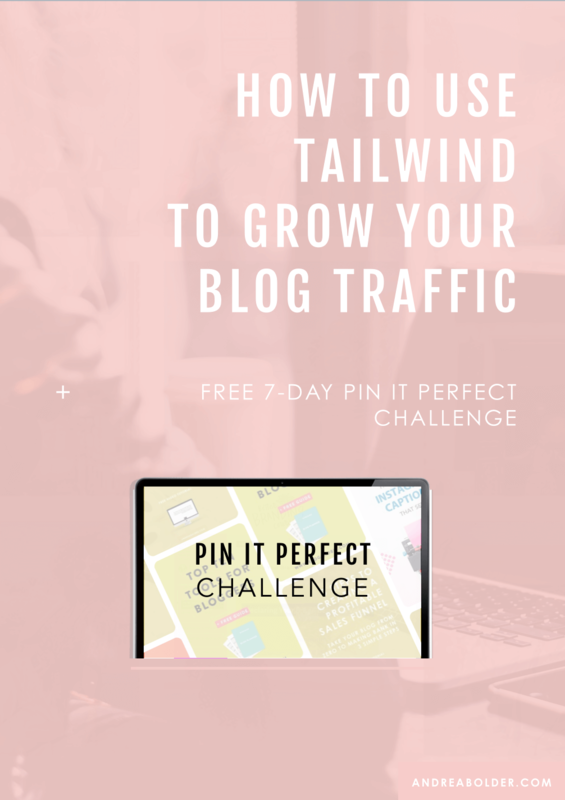 I’m going to share how you can use Tailwind to setup, schedule and scale your success on Pinterest by creating a stockpile of pins that are working to drive traffic and profits on cruise control. So now that you’ve gotten the gist of how to use the most important Tailwind features simply sit down and take some time scheduling your pins. You can get started with Tailwind for FREE right here. You can take 30-40 minutes a week or you can take a weekend and just schedule pins all in one shot until you have a stockpile of pins for Tailwind to distribute on autopilot while you do what you do. Now that you’re set to start pinning, you’re probably wondering what you should be pinning and how to boost your re-pins, followers, and profits on Pinterest? Well, I’ve got a 7-day challenge for you called the Pin It Perfect Challenge to help you navigate Pinterest in a way that is productive and profitable. DID YOU ENJOY THIS VIDEO? LET ME KNOW IN THE COMMENTS + MAKE SURE YOU GET IN ON THE CHALLENGE!